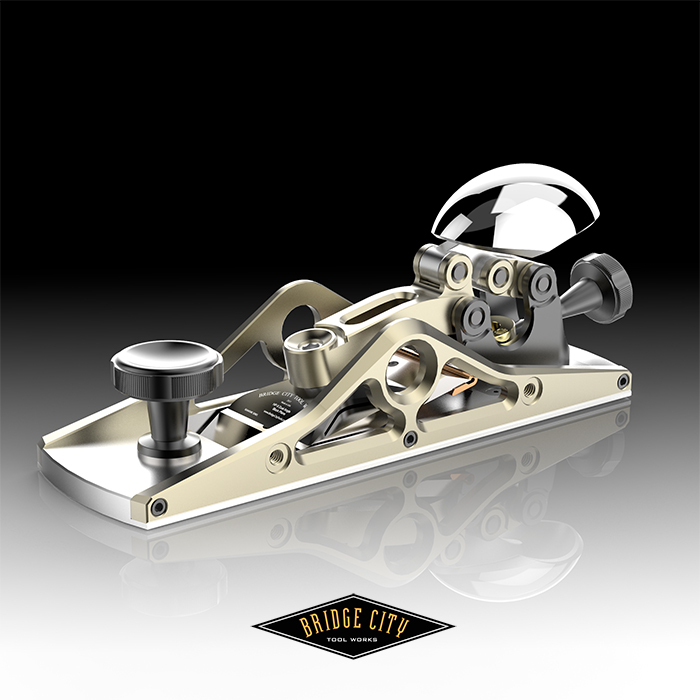 09/17/15 – Machining on the HP-9 Dual Angle Block plane has begun. 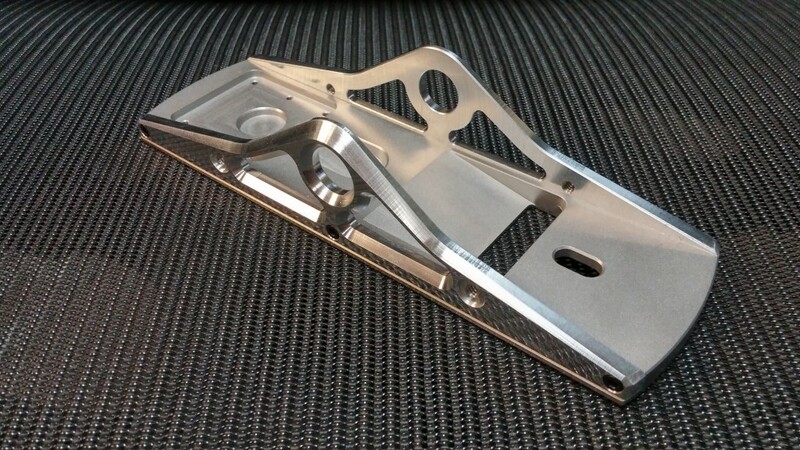 The stainless steel sole and throat plate will be bead blasted after machining, whereas the aluminum sides and components will be bead blasted and anodized. The iron is being machined, after which it will be heat treated then lapped to a mirror finish. Parts are currently at different stages of their machining processes. We are expecting the HP-9 to be ready by early to mid-November. 10/26/15 – Machining continues on many of the HP-9 parts. Some parts, like the depth skids, have finished machining and are currently at the anodizers. The handles are also finished and polished. Stock for the irons and sides are back-ordered, so those parts are running a little behind schedule. We are doing our best to keep this from causing too much of a delay, but this will push assembly until the end of November. Everything fits together perfectly. The sides have all been machined and are being anodized; the soles are much more labor intensive. The stainless steel from which the soles are machined contains stresses that are released as it is machined. Due to the thinness of the soles, this can cause them to warp. The stainless steel is heat treated before being machined to help prevent this warping. The soles are arriving in small batches as they are finished. 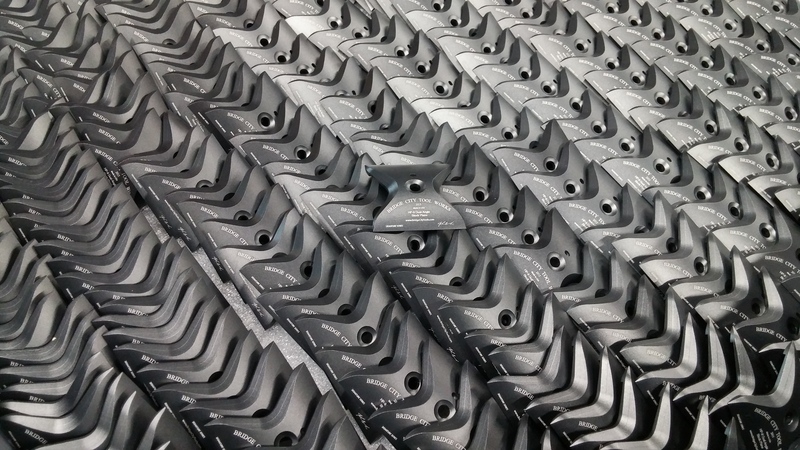 As previously mentioned, production on the irons was delayed due to material for them being back-ordered. 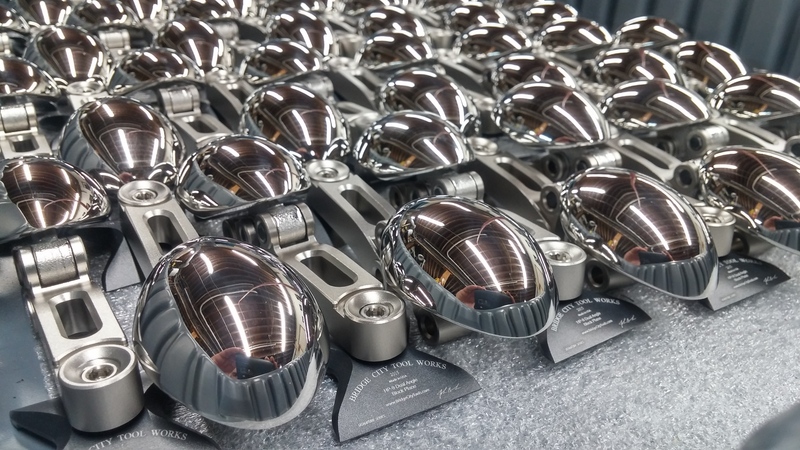 They have all been machined and are currently at the lappers, who will flatten and polish them to their mirror finish. Due to the sole and iron delays, assembly will begin in the middle of December with the hope of shipping before the year ends. 12/14/15 – Assembly is in full swing; sides are being pinned, linkages are being reamed and pressed, and depth skid kits are being assembled. 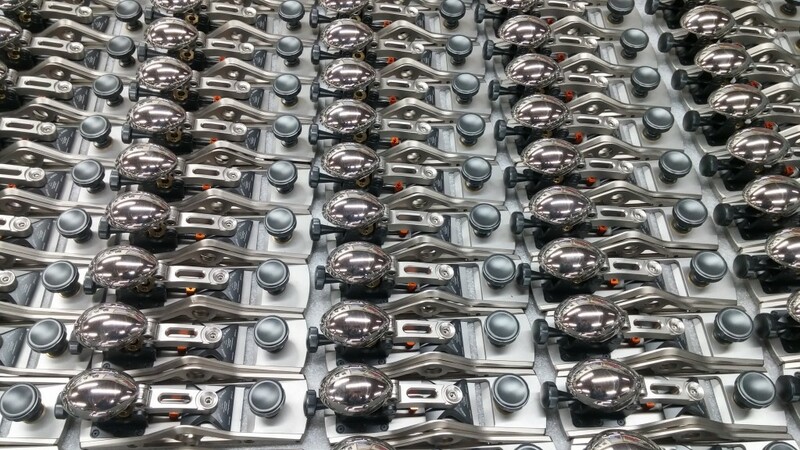 The first batch of irons have arrived, and so has the second batch of soles which are being bead blasted. More parts are expected to arrive this week as we continue to aim for assembly to complete by the end of the year. The other parts that we are waiting for are the throat plates. Each plane is hand sanded one at a time, but this cannot be done without the throat plates. The planes must have the throat plates inserted during sanding to ensure that the entire bottom is completely uniform. The throat plates are expected to arrive early next week, and sanding will begin as soon as they arrive. This, along with the delay of the last linkage part, means that we unfortunately will not be able to complete assembly until mid-January. 1/05/16 – We received the first half of the throat plates Thursday (12/31) evening, and all weekend was spent sanding. The bottoms of these planes have the nicest finish of any plane we have ever made. The rest of the throat plates were finish yesterday, but will be arriving this morning due to ice on the roads. These will be put in the soles and sanding will begin as soon as they arrive. Other than the throat plates, the only part we are still waiting on is the final linkage part. The anodizers sent us what they had finished as of last week, though they are still hustling to finish the rest. We are currently using the final linkage parts that arrived last week to finish the first batch of totally assembled planes. Unfortunately, the number of planes that we can complete is limited by the amount of linkage parts that have arrived so far. The expected completion date for all of the planes is still mid-January. We are working as fast as we can now that we have the final parts, and all planes will be complete and ready for processing by the end of the week. 01/16/16 – The last of the HP-9s were completed Thursday evening, and all of the planes were sent for processing on Friday morning. Pre-orders will begin processing/shipping next week, after which we will begin going through the wait list.